Putt Putt Mermaid Beach - The 2019 Oceania Mini Golf Open will be played at Putt Putt Mermaid Beach on the Gold Coast, Saturday 11 & 12 May. Australia V New Zealand! 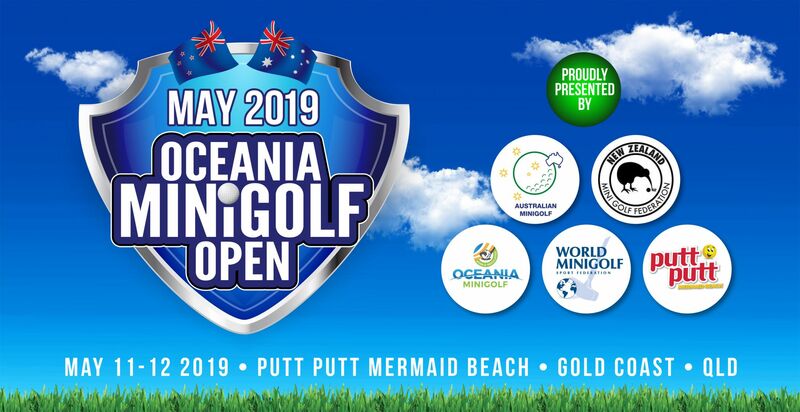 Registrations are now open for the 2019 Oceania Mingolf Open taking place on Saturday 11 & Sunday 12 May at Putt Putt Mermaid Beach on the Gold Coast. Once registered you can practice playing unlimited games for a daily green fee of $10. Valid up to 10/05/2019. Simply show your registration confirmation on arrival.